Description: It’s that time of year! Place your order today for pickup on Feb 13th or free delivery to any business or school within Page County. 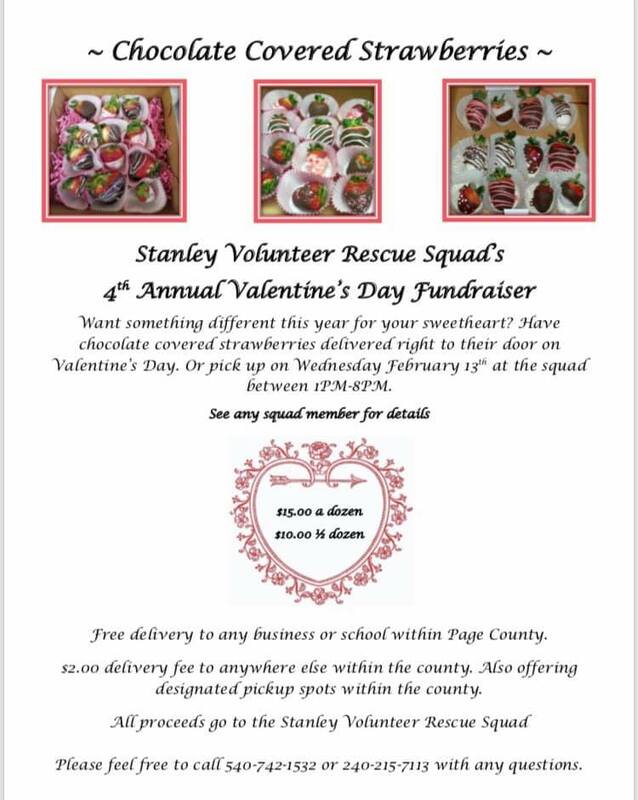 All proceeds go to the Stanley Volunteer Rescue Squad.